The Hotel is 10 minutes drive from Ketapang port, laid between six hectars land with swimming pool, garden terrace, and beachfront view. Wahoo restaurant serve tasty javanese cuisine and western specialty. Ketapang Indah Hotel is a charming property set within a tropical garden in the emerging tourism destination of Banyuwangi on the coast of East Java, Indonesia. 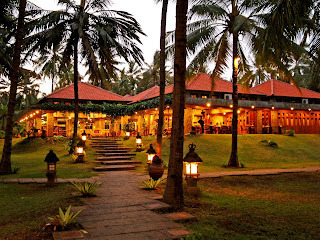 As a family orientated hotel, it features a collection of comfortable guest rooms and cottages spread across a generous landscape shaded by mature coconut palms. The hotel extends to a stretch of volcanic black sand beach with inspiring sunrise views over the Bali Strait. The property blends traditional Javanese hospitality with more contemporary styled facilities to anticipate the needs of both leisure and business travelers.